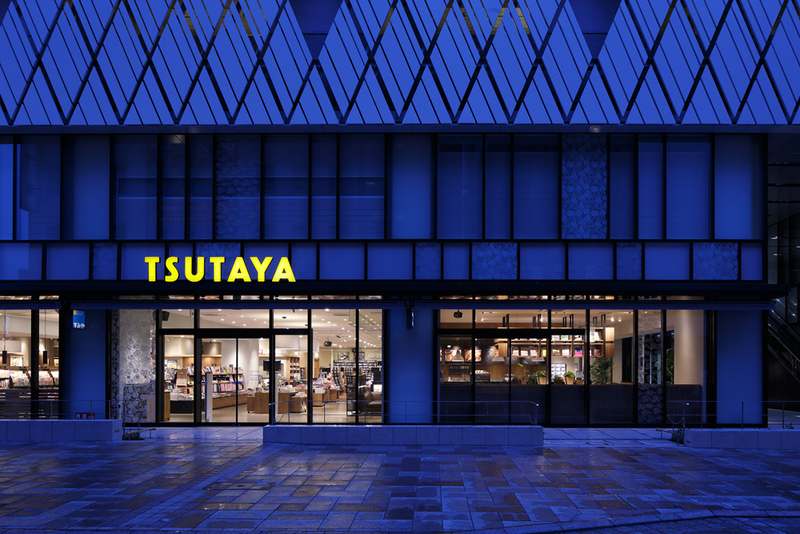 In accordance with the relocation of TSUTAYA SUMIYA to Gofukucho Tower in front of Shizuoka station, this café project was launched. 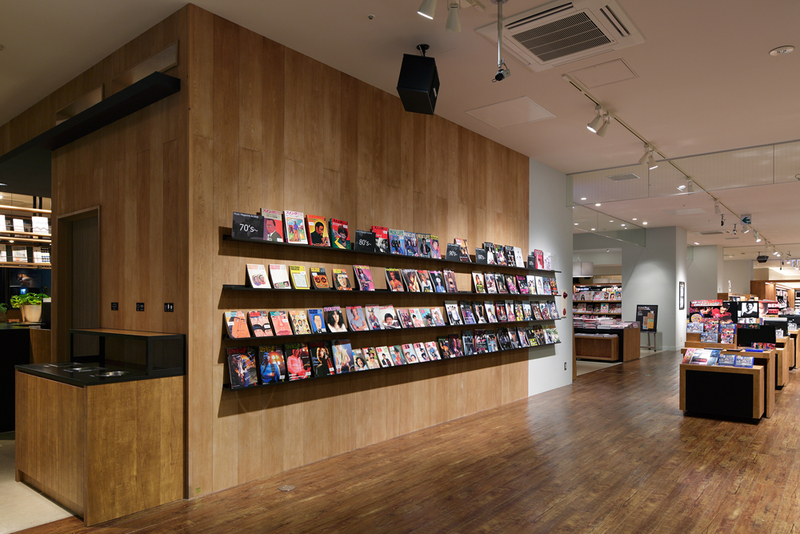 SUMIYA is the company which has offered music in Shizuoka for more than 80 years and the store is a flagship shop of TSUTAYA SUMIYA, a successor of SUMIYA. 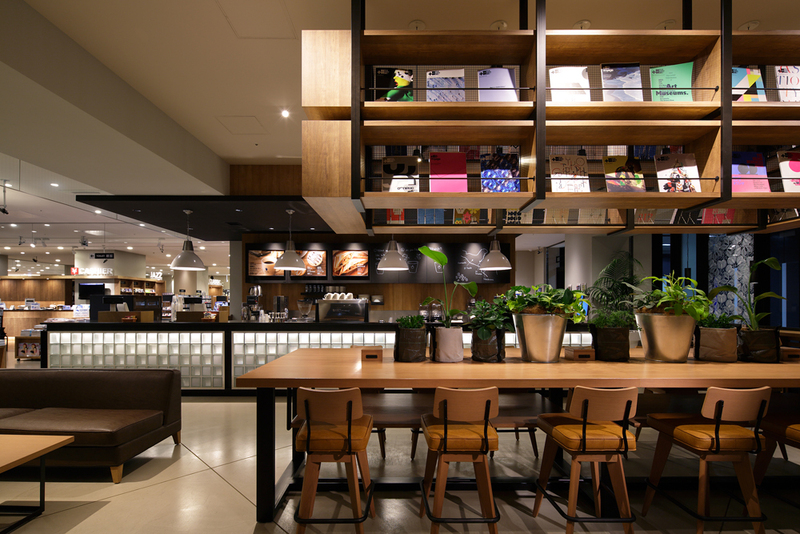 Café brand “Culfe” is a specialty coffee shop organized by TSUTAYA and its style is “BOOK&CAFÉ”. 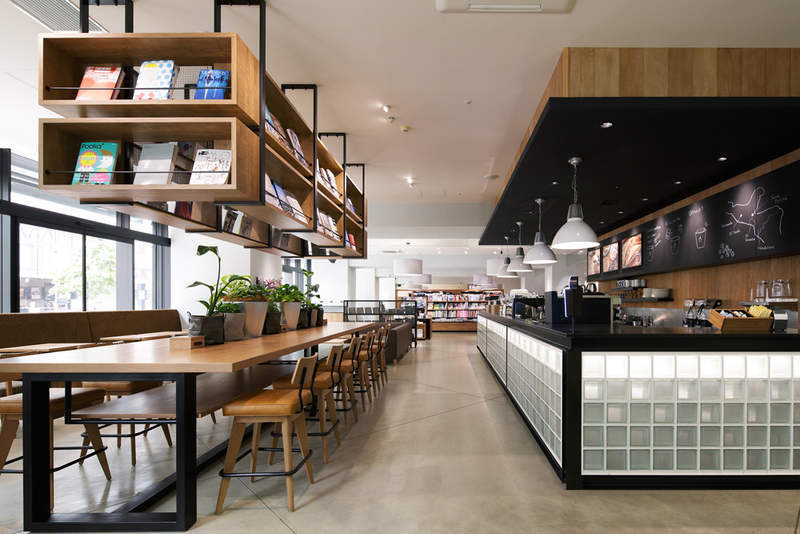 In order to embody the concept of “BOOK&CAFÉ,” café space intermingles with bookshelves so that customers can enjoy having coffee and choosing books at a time. Also light blue continuous arched structures and pendant lightings create the entire environment. 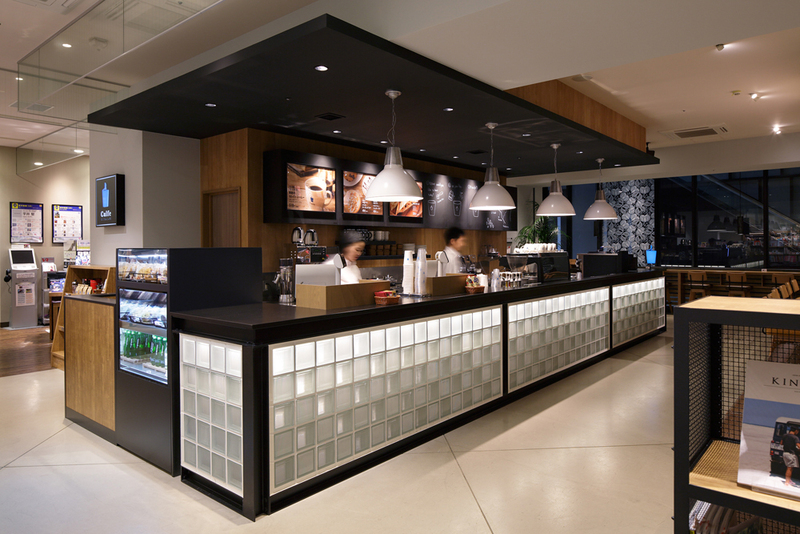 The roughly designed glass block counter in steel-flame, bookshelves, and the huge bookcases suspended from a ceiling are simple but create the strong presence in the café zone. 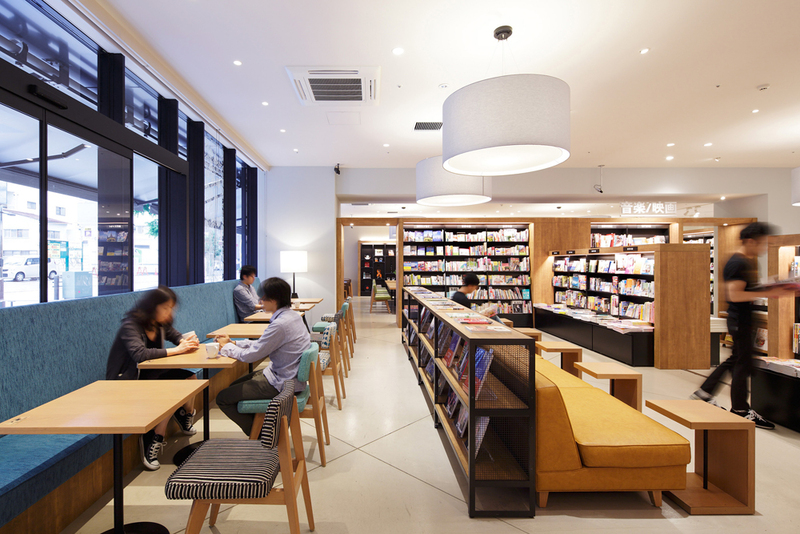 The space to enrich the experience of having coffee and choosing books was born in Shizuoka city.